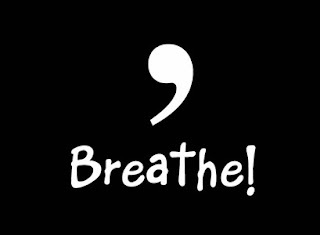 Sometimes we all need to remember to just breathe. In a musical score the comma above the staff is a breath mark. Don't believe me? Check the Wiki page. Teachers wearing this shirt reinforce musical notation and offer a calming influence in often tumultuous middle school or high school student's day. Brand: Breathe! is printed on a Gildan 2000 ultra cotton t-shirt.